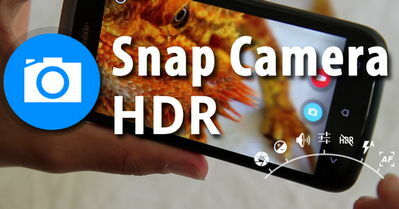 If you've been looking for a clutter-free but powerful HDR camera app, then Snap Camera HDR Pro Full excels at that. Just choose the mode, aim, shoot and the app does the rest giving you the best image quality. Take pictures or record videos easily with simple onscreen settings. The included photo controller features all the tools you need to take the best shots, such as Color and Contrast, Burst Mode, Self Timer, Panorama mode, HDR, to name a few. Plus now, you can record 4K 16x9 videos on the Nexus 5 running Lollipop. Additional app settings include; Picture and Video Size, Time Lapse, Still and Video Focus Modes, Effects, ISO, Video Bitrate, Format and Codec, Audio Settings, plus much more. 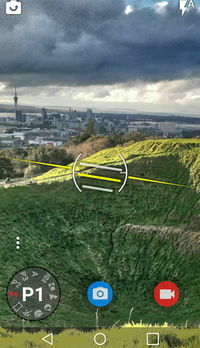 There is also a photo editor to Snap Camera HDR version 8.7.8. With it, you can Enhance Details, Denoise, Add colour, borders, and image effects, Crop, Rotate, Mirror, and more. Defining HDR: It is a feature that lets you take pictures of scenes with very dark and very light areas. The app takes multiple photos at different exposures and combines them to make one HDR photo. The app can optionally save the original exposures and open an HDR editor. This latest version updated January 10, 2018 added many features and fixed many bugs.